The Balance Box is an adjustable stand for televisions, monitors, and interactive flat panels. It has a patented spring system that neutralizes gravity, making it easy and safe to move your display panel up or down and allowing users of all ages and heights to access the screen. up, down, and all around. To move your display panel, simply press up or down with the palm of one hand as the mount glides effortlessly. 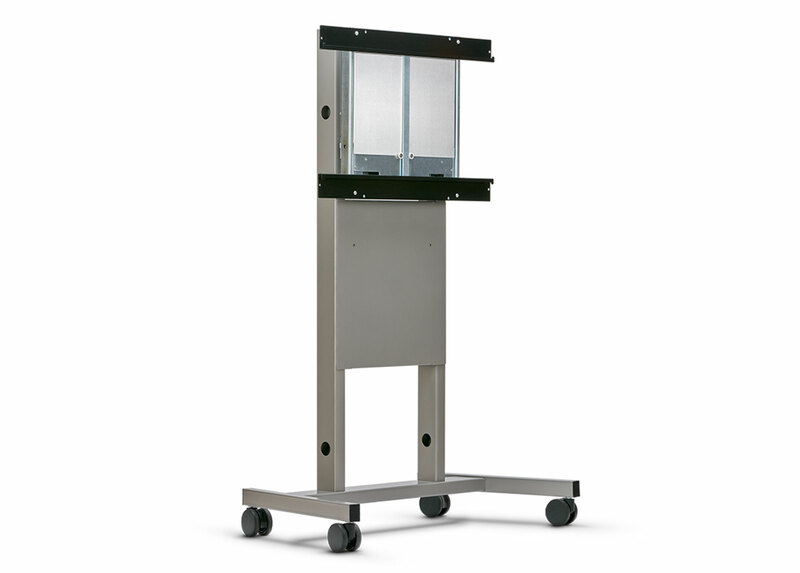 The Balance Box can be easily wheeled down the hall to another classroom or office, and its sturdy high-grade steel frame means it will stay put where it’s needed.